Beauty products that make gorgeous promises always lure me in. 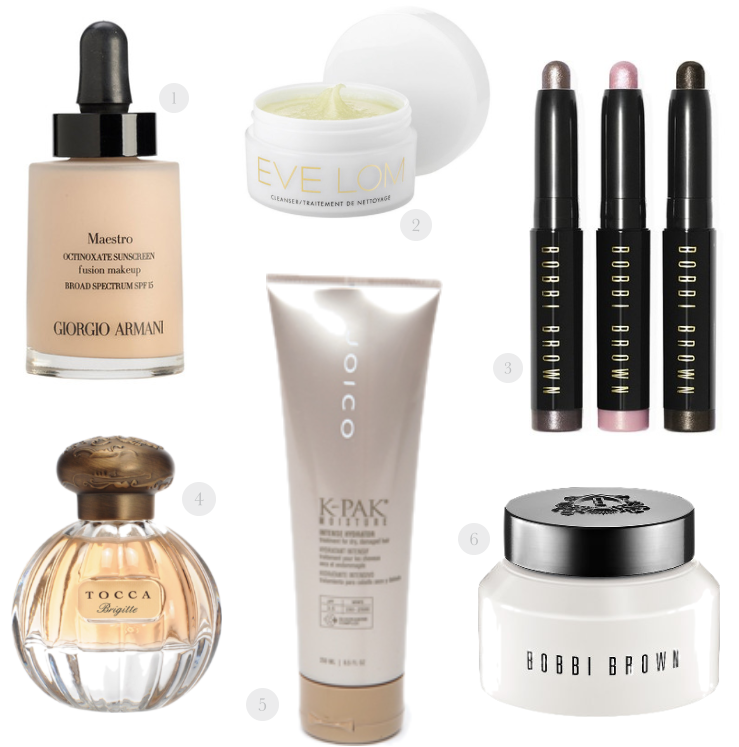 Beauty products that keep those promises keep me coming back for more. Here are some of those products that have passed the test for me recently. When it comes to effective skincare the core of any good regime is a really great cleanser. One that effectively cleanses your skin without striping it of what it needs to be soft and supple is worth its weight in gold. Eve Lom's balm cleanser is so soothing on the skin and leaves it feeling super soft and looking radiant. I've also fallen in love with this hydrating skin cream from Bobbi Brown. It's the perfect balance of creamy and cushioning and just what my skin craves in the now colder temps. I give the same amount of TLC to my hair which is why I can't get enough of this conditioning treatment from Joico. So many of their products are beyond amazing that it's hard to pick a favorite. A rosy glow and wide awake eyes are something that everyone wants. 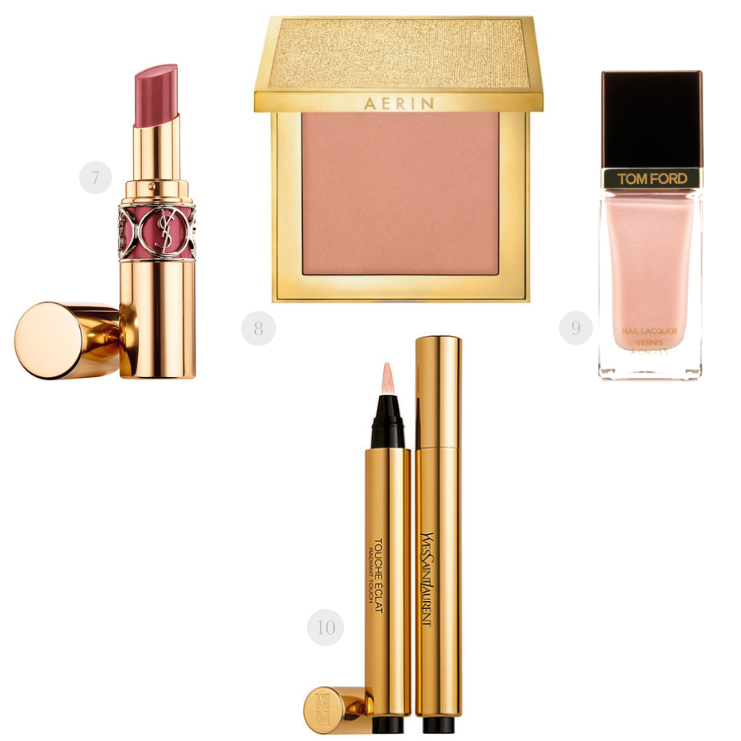 I get mine from this peachy pink blush from Aerin and this magic wand from YSL. It truly is eight hours of sleep in a swipe. I never like to leave the house without a sweet smelling spritz. Tocca makes the most incredible scents that are as intoxicating as the bottles are beautiful. Not only are these amazing beauty wonders, they also make great gifts for the holiday season too. What are some of your favorites? Hope you all have a fabulous Friday and a happy weekend!